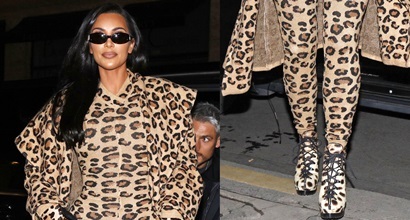 Get spotted out and about in timeless leopard print shoes and see how celebrities style them. 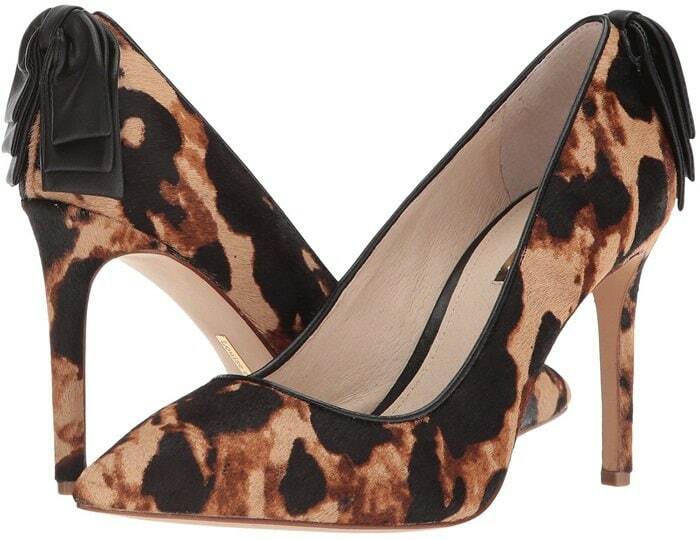 This classy animal print goes with practically everything. 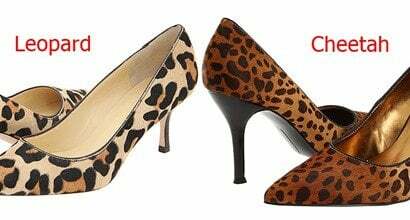 It should not be confused with cheetah print! 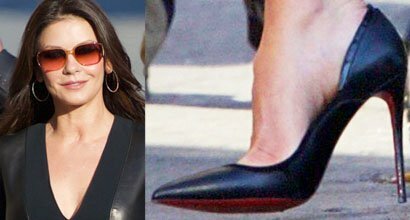 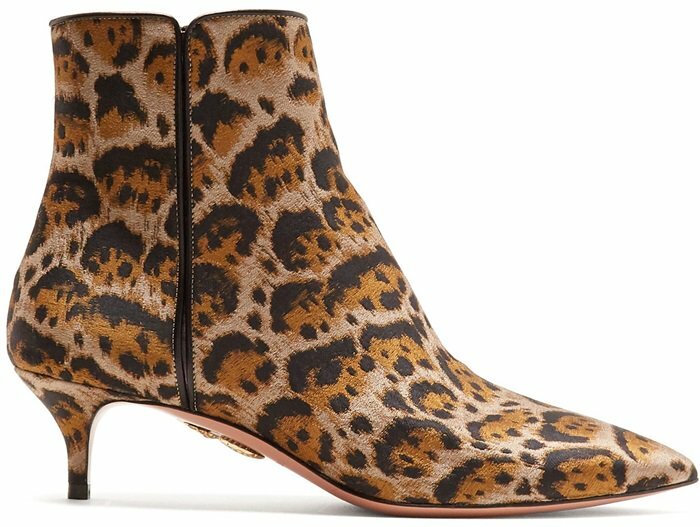 After seeing the always fashionable Gwen Stefani drop off her kids while wearing a pair of leopard print booties and Zara Martin turning heads at the European Premiere of “Suicide Squad” (see below), we decided to put together a list of 10 leopard shoes that you can wear this spring and summer. 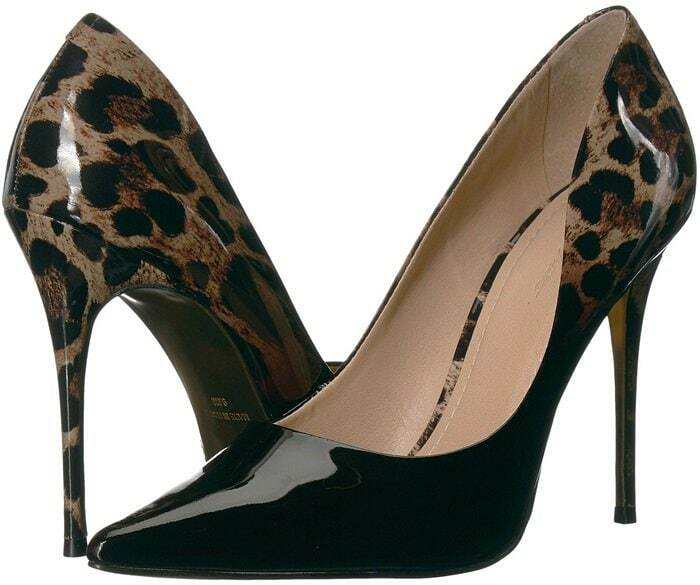 Convey a look of eye-catching sophistication and allure with these pointy-toe pumps from the Italian shoe brand. 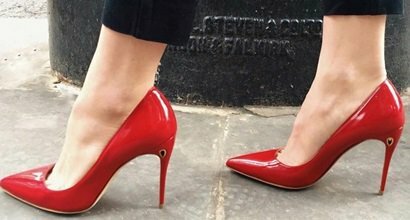 A pointed toe and slim stiletto underscore the chic style of a versatile pump. 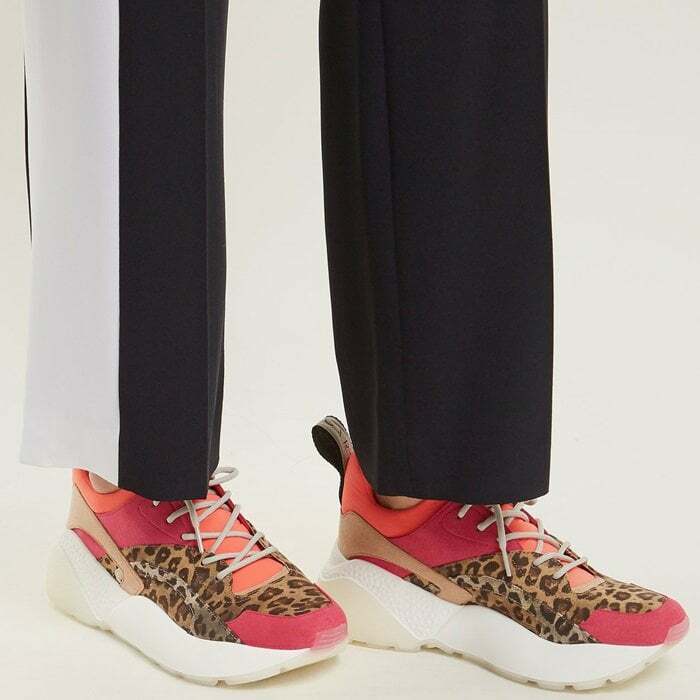 These strawberry-pink fashion sneakers will lend a contemporary grounding to new season looks. 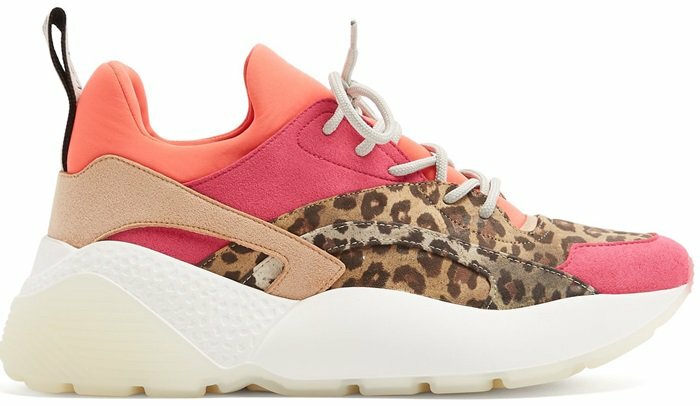 They’re paneled with leopard-print faux-suede and set on chunky white rubber soles. 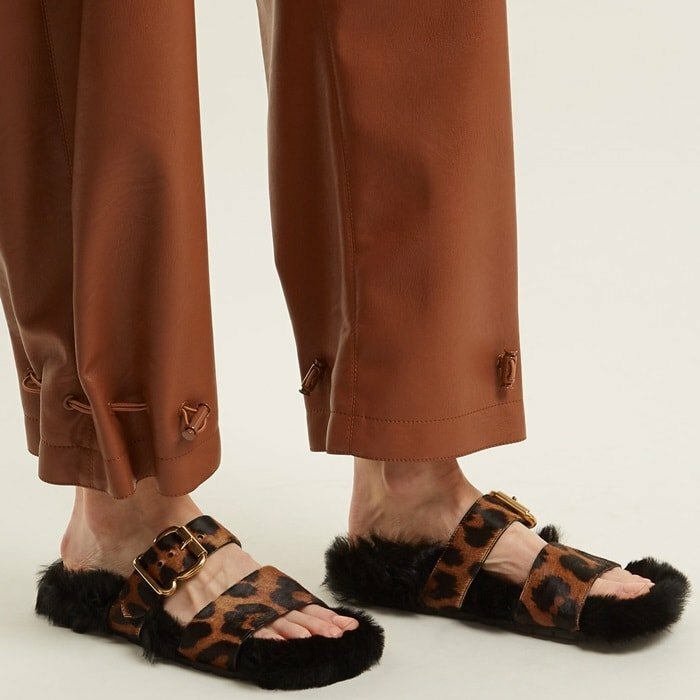 A tall block heel and a chunky rocker platform provide a delightfully retro foundation for a d’Orsay-profile sandal from Chinese Laundry finished with a slender wraparound ankle strap. 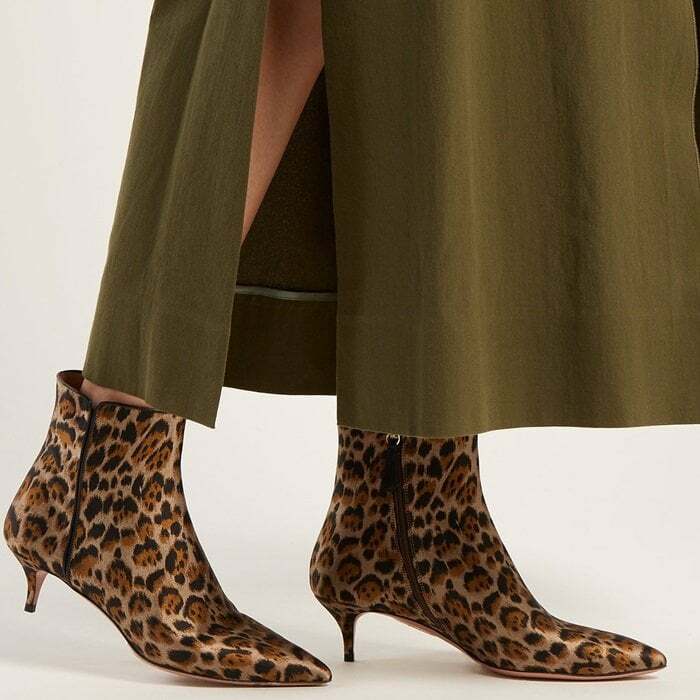 For Pre-AW18, Aquazzura has reinvented its timeless Quant ankle boots in brown leopard print. 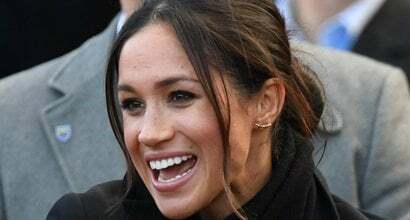 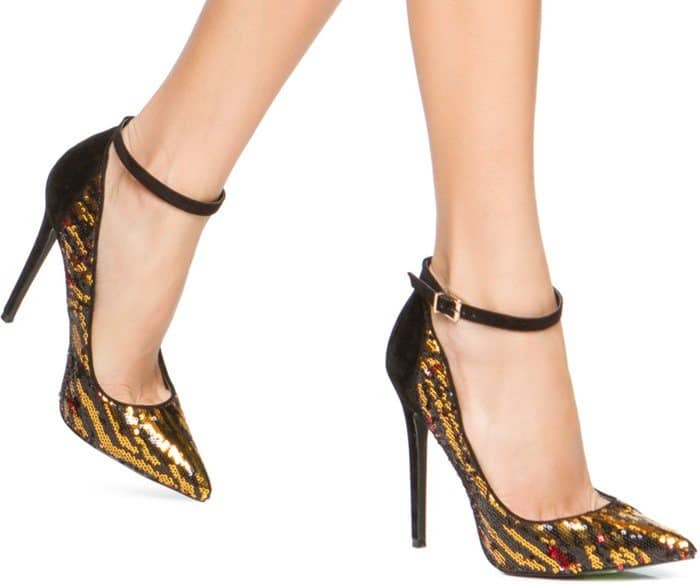 The silhouette is shaped with a point toe and set on a slender kitten heel, then finished with a gold-tone metal pineapple emblem on the light-brown sole. 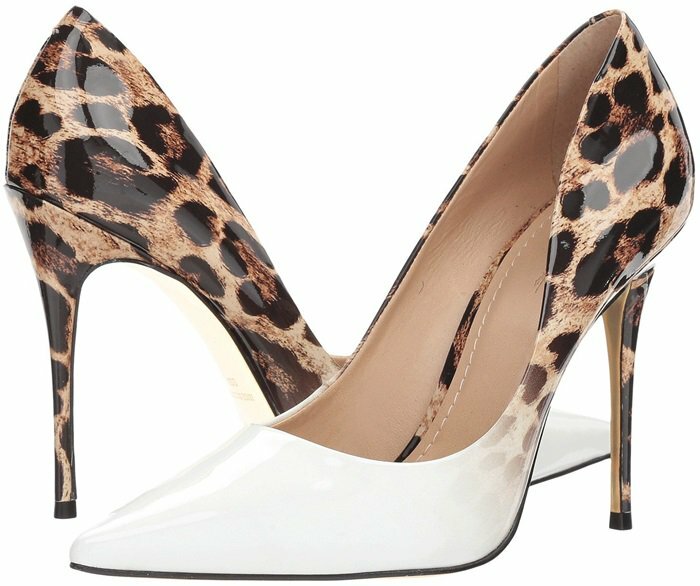 Fabrizio Viti subverts the classic pump form with this gorgeous style in grey and black leopard-print satin. 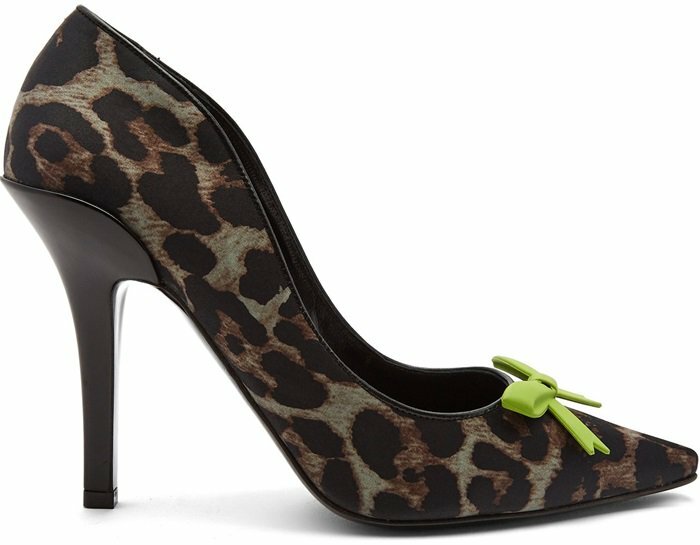 They’re shaped with a pointed toe accented with a lime-green rubber bow and lifted on a curved stiletto heel for a nod to seductive retro styles. 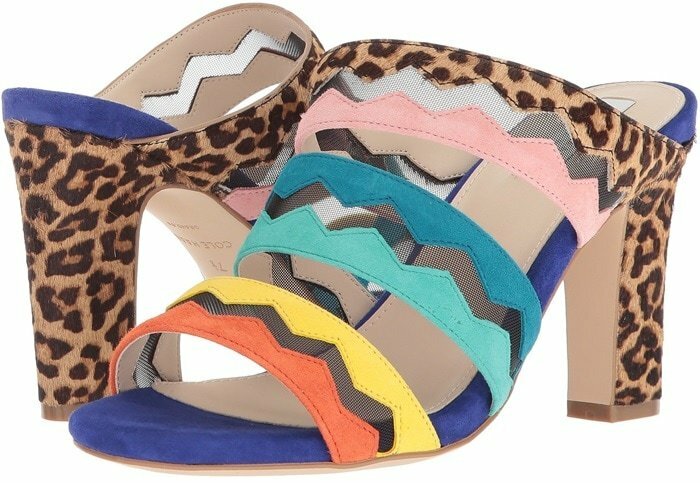 Peekaboo mesh in a zigzag pattern adds a fresh, modern element to this strappy and well-cushioned sandal. 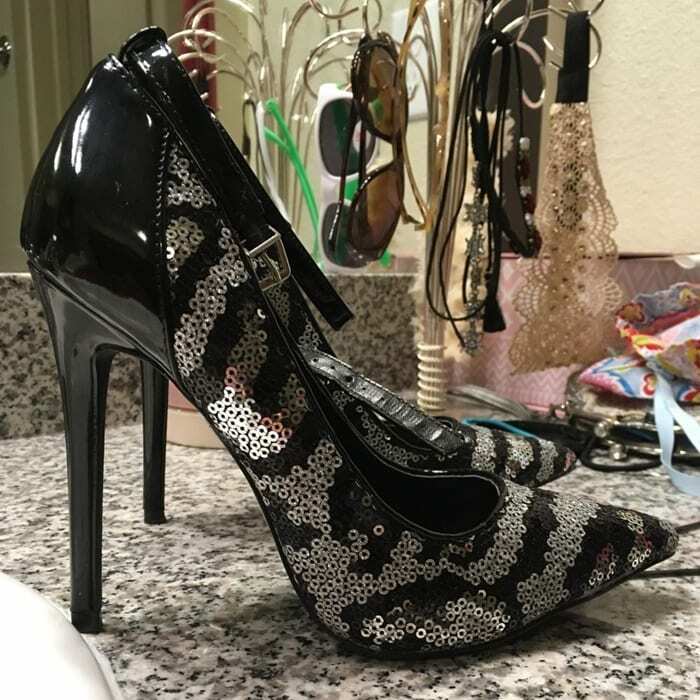 Ready to party? 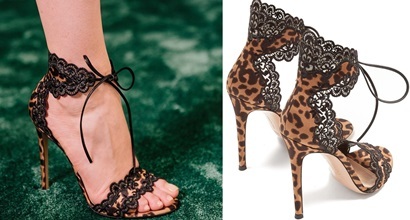 This fun, flirty pump features sequins in a leopard pattern that adds sparkle to even the simplest of outfits. 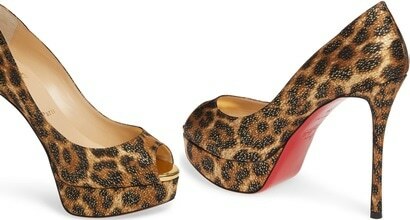 Prada offers a lesson in off-kilter style with these soft brown leopard-print calf-hair slides. 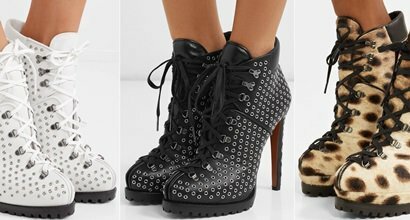 They’re lined with black shearling for a tactile contrast, fasten with gold-tone metal buckles, and are grounded on black rubber soles. 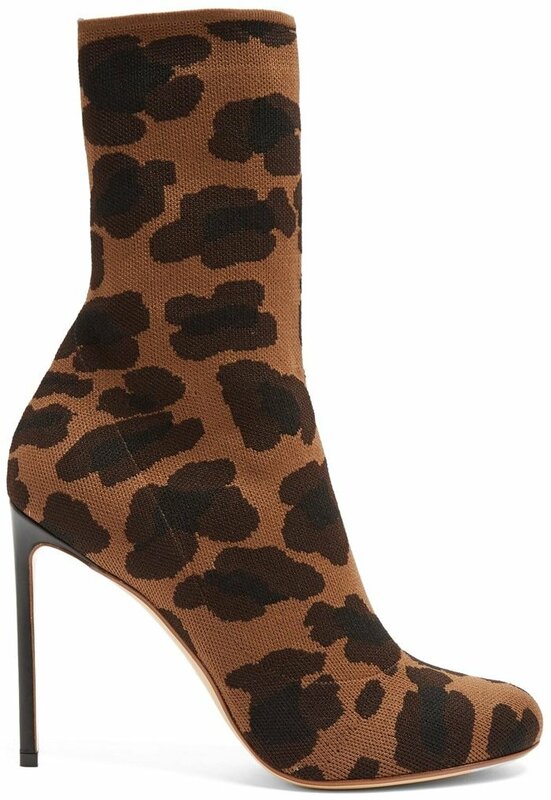 It’s the sepia-brown and black leopard jacquard of these Francesco Russo boots that make them a head-turning choice. 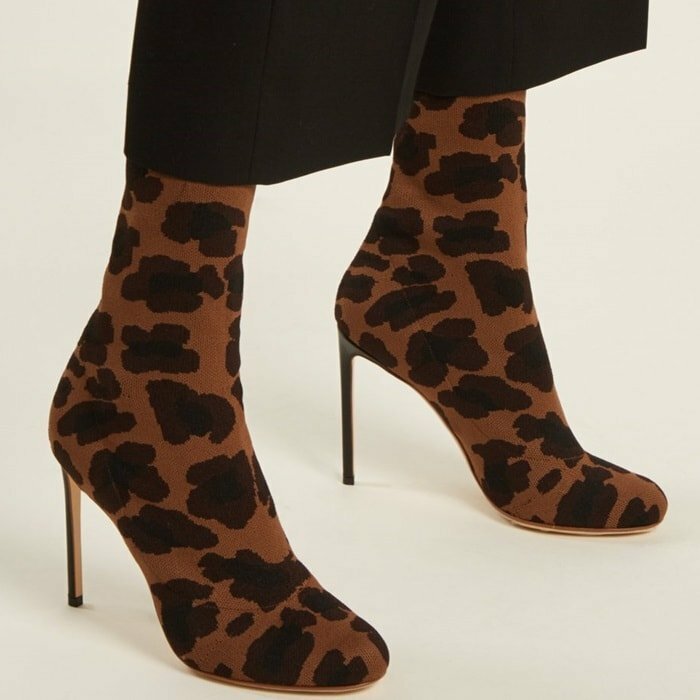 They’re crafted in Italy from a robust knit to a sock-effect construction with a round toe and black leather-covered high stiletto heels. 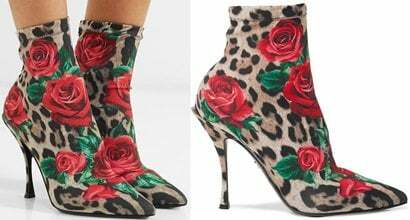 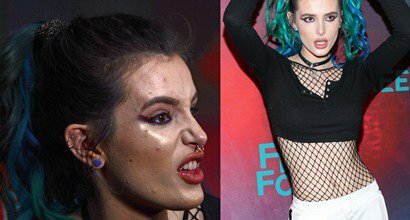 Zara Martin, a British DJ, and model, turned heads in towering leopard print heels at the premiere of “Suicide Squad” in London. 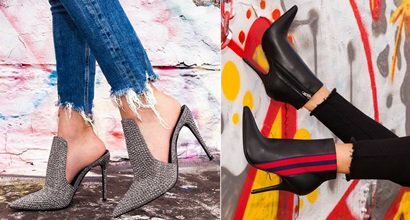 Would you dare to wear these sky-high shoes?